Few places blend ancient traditions and cutting-edge contemporary culture as well, or as interestingly, as Japan. Here, you’ll find the height of modernity alongside some of the world’s most beautiful ancient temples and gardens, all woven together by incredible cuisine and one of the most interesting cultural perspectives in Asia. 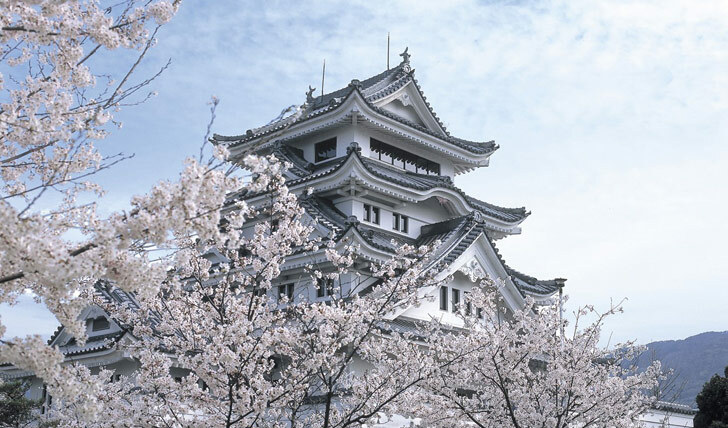 Japan is home to true luxury that thrives in an aesthetically delightful surrounding, after all this is the home of cherry blossoms and one of the world’s most affluent cities. And traveling with Black Tomato means that we’ll open our little black book and show you some of the most iconic and hidden treasures that Japan has to offer. Touch down in Tokyo, the cutting edge capital of fashion, food and design and be met by our guide who will school you in everything you need to know to hit the bustling streets. From maps, phrase sheets to good advice and insider tips, your dedicated Black Tomato guide will ensure you set off on the right foot. Start the day with a private tour of the fascinating Tsukji Fish Market and snack on the freshest, and in our opinion, best sushi in the world. The nearby Hamarikyu Gardens are the ideal place for an afternoon stroll before taking a waterbus along the Sumida River to Asakusa to view the Senso-ji, Tokyo’s oldest and most significant temple. Tech lovers will enjoy a stop off at Akihabara, a major electronic, anime, games and otaku storeping district, before retiring to the gorgeous Aman Tokyo hotel. After a morning of manicures at your own dressing room nail station, spend the day on a private tour that combines the traditions of ancient Tokyo with the contemporary culture the city is now famous for. We’ll take you on a visit to Meiji-jingu, the most important shrine in Tokyo, and the Imperial Palace Gardens all before an afternoon stroll through the trendy districts of Harajuku. Wind through the hills of Mount Fuji and delight in the stunning scenery before arriving at Hakone for peaceful views, spectacular kaiseki cuisine and the onsen baths; a traditional experience said to have tremendous healing qualities, which will leave you rejuvenated, relaxed and refreshed. Check into your Ryokan accommodations (read: traditional Japanese inn that originated in 1603) at Ginyu Hakone and enjoy the spectacular views of the river and mountains. Refresh before spending the afternoon visiting the impressive Open Air Museum which houses 300 works by Picasso alone. In Japan, you can truly expect the unexpected. The following day take a tour of the Hakone area and discover great views of Mount Fuji from a cable car or boat or, for those wishing to keep their feet firmly on the ground, hiking enthusiasts can walk the ancient route from Tokaido Road to Hakone-Yumoto, a truly magical trek. Like the name suggests the bullet trains in Japan are known for their speed and it will be this rapid transportation that will deliver you into the heart of Kyoto. Waste no time with your guide discovering the iconic Golden Pavilion or Ryoanji Zen Garden before ending the day with a moment of zen at the Ninnaji Temple, which is home to one of Kyoto’s loveliest gardens. 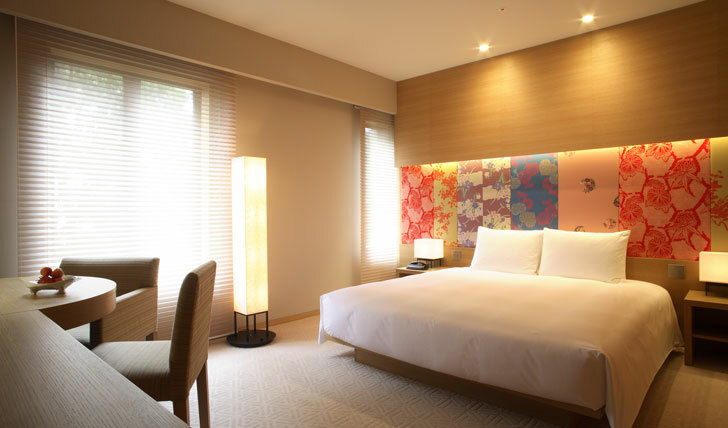 A night at the renowned Hyatt Regency will get you ready for a full day private tour of Gion, where you will catch sight of some of Kyoto’s apprentice geisha on their way to lessons. With your guide carve your own pathway through Japan but we’d always recommend stop offs to Nijo castle, the former home of the Shogun (one of the hereditary military dictators of Japan from 1192), Yasaka-jinja Shrine and Maruyama Park, which boasts spectacular temples and even grander views. As the saying goes, the best way to get to know someone is to walk a mile in their shoes, so head to a traditional Kyoto machiya townhouse where you’ll be given your own zori wedges with white socks. You needn’t walk the full mile though; after being clothed in traditional attire enjoy an elegant tea ceremony followed by a light Kyoto style lunch. Spend the afternoon visiting Arashiyama and Sagano and the breath-taking bamboo groves before heading to your historical bolthole for the next few nights, the picturesque river retreat, Hoshinoya. This truly has to be seen to be believed as it’s one of the most stunning and quiet retreats around. Quite the change from the bustle of Tokyo. Take off on a day trip to Nara, Japan’s ancient capital, with your own private guide to witness the majesty of the Todaiji Temple and the Great Buddha, as well as Deer Park and the beautiful Isuien Gardens. Heading west to Hiroshima, your Japanese exploration is taking a westward turn. With all Black Tomato trips, so much of the experience is in the journey, so enjoy the bullet train and the unusual sights for the next few hours before a ferry takes you over to the sacred island of Miyajima where you’ll spend the next night. Spend the following day exploring the ancient wonders the island has to offer, whilst for the adventurous, hike to the peak of Mount Misen for stunning views across the island studded Inland sea. Rest your head at Iwaso before you catch a bullet train back to Tokyo to spend the day soaking up the sights and reliving your magical memories before boarding a flight back home enriched with the wonders of Japan.